I swipe a cotton pad soaked with it every morning and evening. I use it to clean my makeup brushes and sponges every few days. And I never travel without it – in wipe form. Micellar water. It’s a beauty staple in millions of womens’ beauty routines, mine included. It’s also not quite water. But we’ll get to that in just a bit. First, we need to talk about surfactants. 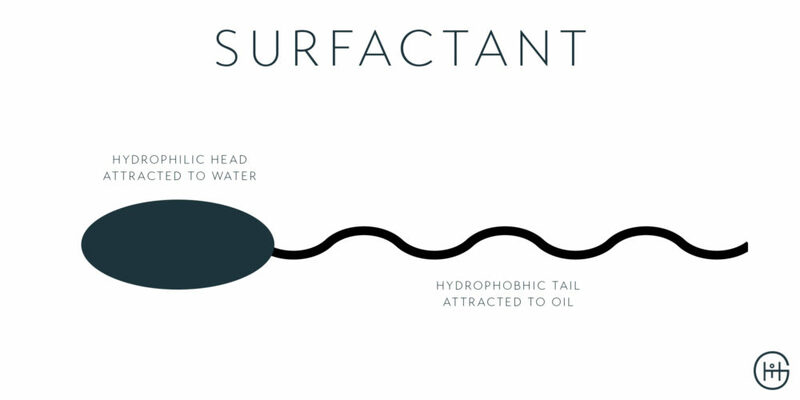 A surfactant is a simple compound with a hydrophilic head and a hydrophobic tail. The head of this compound is attracted to water, and the tail repels water. 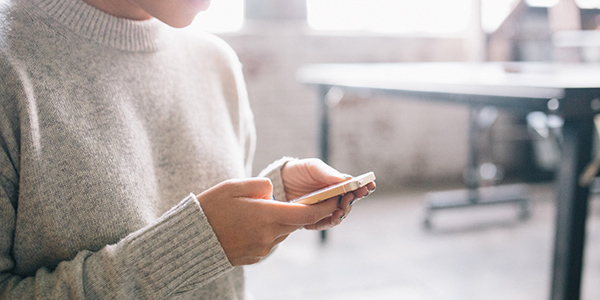 Surfactants are a mainstay in in our bodies, and in many of the items we use every day. 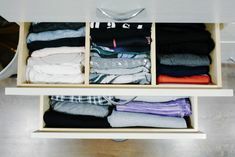 Everything from the soap you used to wash your hands, the laundry detergent to clean your clothes, and even the toothpaste you brushed your teeth with this morning contains surfactants. remember that your own body produces surfactants. It’s a technical name for something that’s naturally occurring. That said, not all of them are created equally and this post breaks it down in greater detail. anything in large doses is bad for you. The EWG often focuses on prolonged exposure at high quantities, so keep that in mind when you research them. 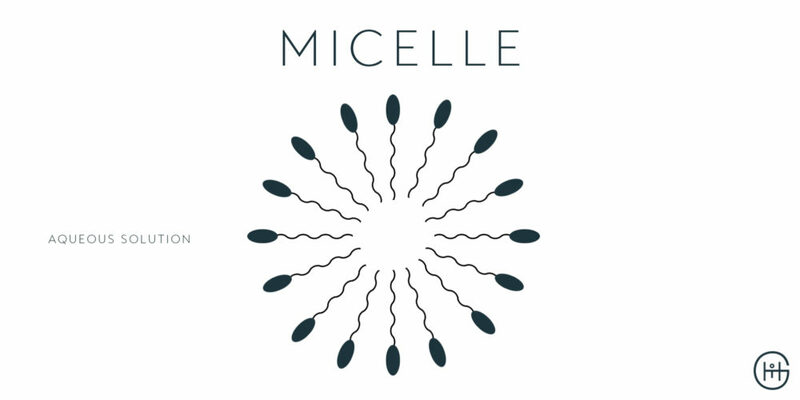 Now let’s talk about micelles. Micelles are a circular aggregate of surfactants, with their hydrophilic heads forming the outside and their hydrophobic tails forming the inside. These micelles are suspended in water, and are used to gently remove dirt, oil, and makeup from your face. When you soak a cotton pad in micellar water, the micelles come apart and the heads of the surfactants bind to the pad (which is made of cellulose, a hydrophilic substance). This leaves the hydrophobic tails exposed. When you swipe your face with the pad, the tails are attract themselves to any hydrophobic substance on your face – dirt, oil, makeup. The reaction is instantaneous, and the hydrophilic heads reattach themselves to the cotton pad quickly after the tails have bound to the dirt on your face. Looks like magic, right? That’s what chemistry is. Micellar water came to popularity with – you guessed it – French women. Due to the poor quality tap water in France, they used micellar water instead to cleanse their face (and still do, according to this chic woman). I use it morning and night, and rinse my face with water after using it. If I’m cleansing at night, I’ll follow it up with this gel cleanser, and then a chemical or physical exfoliant at night. Garnier’s micellar water is the first one I’ve tried, and subsequently the only one I’ve used. It works beautifully, and the price point can’t be beat. I prefer the mattefying micellar water, and also travel with their micellar water wipes to conserve space in my liquids bag. Their formulation is one of the most gentle, with water being the main ingredient and 3 well-tolerated surfactants (Polaxamer 184, polyaminopropyl biguanide, and hexylene glycol) in the formulation. 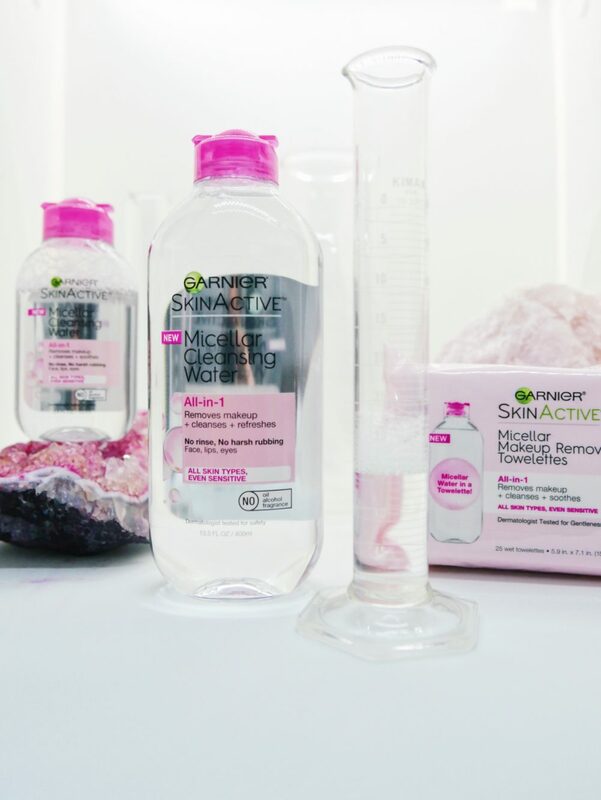 Garnier also released their micellar foaming face wash recently. I use mine in the shower, and it’s the perfect morning/post-workout cleanser that leaves my skin feeling clean and hydrated. In short – micellar water is fantastic to cleanse your skin, and you should absolutely incorporate it in your skincare routine. And if you want my pick, it’s Garnier’s range. Trust. Bonus – it goes well with your current skincare regimen, including my favorite kefir products and these powerhouse serums. Disclosure – Garnier gifted me these products to try, but all opinions are my own. I truly love these range, and I think you will too.